This will be a great driver truck! It features a custom built Rods R Us chassis full boxed with a Heidts Mustang II front suspension on QA1 coilovers and an Alston Chassisworks 4-link rear suspension on QA1 coilovers hooked to a 9" ford rear end. The truck will be powered by a Tuned Port 350 and a 700r4. All of the factory holes in the firewall were filled. The factory vents on each side of the cowl were filled in. The top cowl vent was filled in. 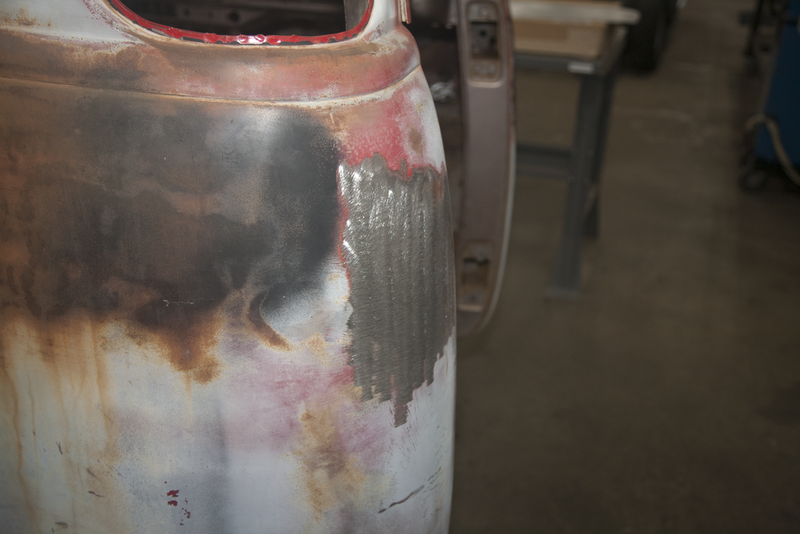 The factory fuel filler hole was filled in. Work begins on the chassis, the frame rails are completely boxed to add rigidity to the chassis. 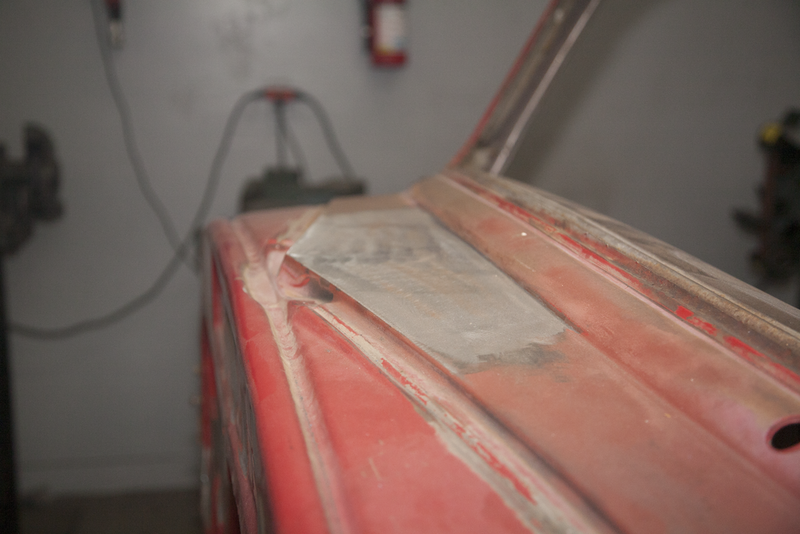 A Heidts Mustang II cross member was added and various damaged areas on the chassis are repaired. The engine and transmission are mocked up, along with the core support. 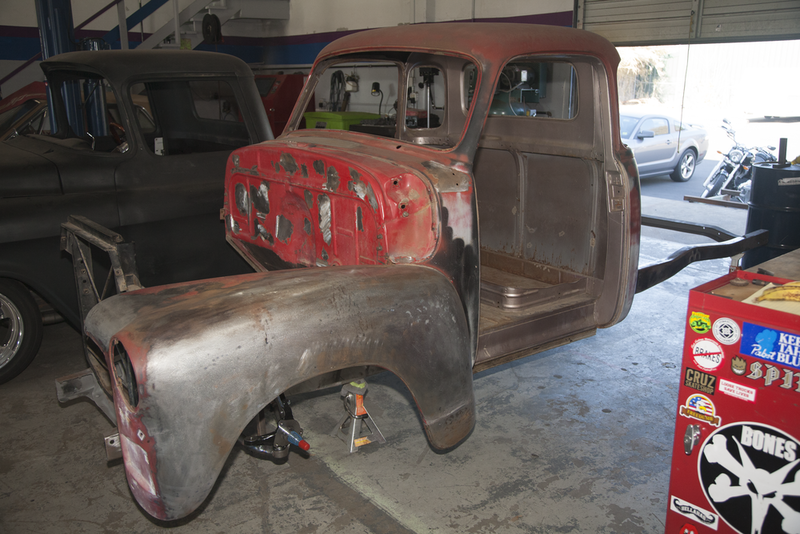 The front tire placement is double checked with the body on the frame and sheetmetal mocked up. The rear suspension is set up. A Dutchman 9" ford rear end connected with a Chris Alston 4-Link kit and QA1 coilover shocks. The new bed is fit to the truck and mini wheel tubs are added to allow for a wider rear tire.